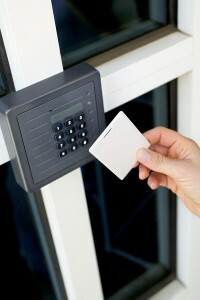 Access control and the security marketing are constantly evolving to meet the needs of end-users. And as the needs of end-users grow, technology needs to adapt and advance in order to keep pace. Here are a few of the access control and security trends you can expect to see in the market next year. As security components that were formerly separate begin to find themselves connected via IP and network-based security, consumers expect that security technology be open and allow for interoperability between all devices. This requires devices to be held to a certain accepted standard. One example of this is the Open Supervised Device Protocol (OSDP), a widely accepted communications standard developed by the Security Industry Association, which allows devices to work together more easily. For end-users to make effective use of security devices, they need to be user-friendly and reliable. Nothing is likely to turn off an end-user faster than a device that is difficult to use and always seems to have problems. Vertical integration among federal agencies and some private industries is leading a push for more effective and efficient security solutions. In the healthcare industry, for example, HIPPA and HITECH regulations that were introduced with the intent of protecting patient data are increasing the demand for effective access control systems, as hospital employee negligence in a physical setting can put patient information at risk. This trend has been ongoing in the security industry and will continue to grow as businesses learn how they can best take advantage of a merger of their physical and logical access control systems. Vendors must demonstrate how this connection can bring value to an organization, especially in the area of IT. Mobile access control for commercial applications has been met with some challenges. Connecting devices with the Security Element of a mobile phone requires companies to have a relationship with the wireless carrier, and the phone itself must have NFC technology (the iPhone just made this technology available in the 6 model). Manufactuers are looking into Bluetooth Low Energy (BLE) as an alternative. This entry was posted on Thursday, December 11th, 2014 at 2:08 pm. Both comments and pings are currently closed.